Did you know that San Francisco has an amazing public school system? It’s true! But it doesn’t always get the credit and TLC it deserves. 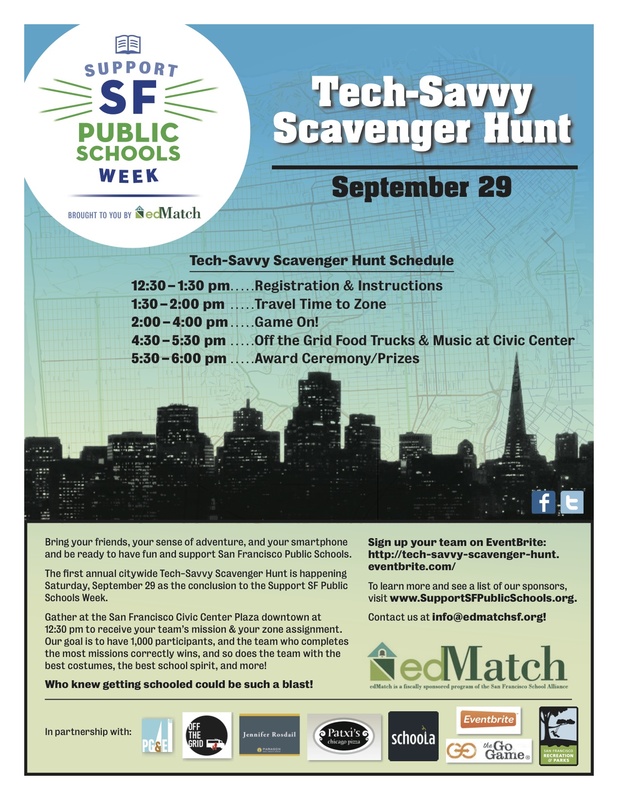 So on September 29th, The Go Game is teaming up with EdMatch to create a city-wide scavenger hunt in support of SF Public Schools. SIGN UP HERE to create a team with your friends and co-workers, explore San Francisco, collect cool swag, and raise funds for San Francisco public schools!